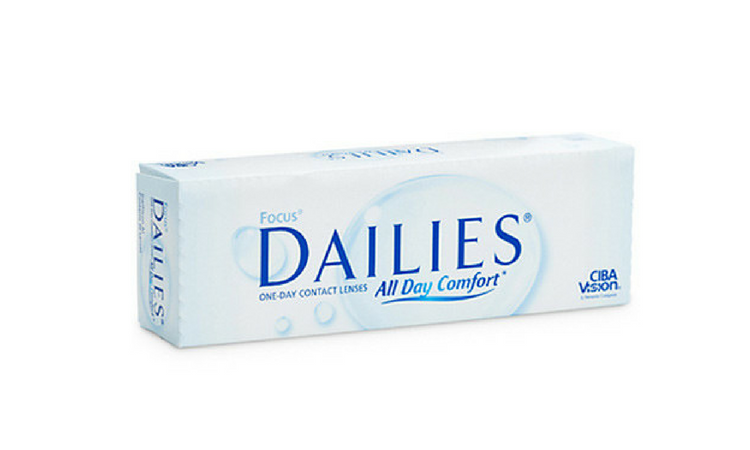 Alcon (formerly CIBA VISION) Focus DAILIES® All Day Comfort Contact Lenses (30 pack) - a single use, daily disposable lens. Alcon's breakthrough Lightstream Technology is what makes Focus DAILIES so uniquely comfortable. Focus DAILIES are made of such a super-thin, soft biocompatible material that you’ll hardly know you’re wearing them. Focus DAILIES All Day Comfort uses AquaRelease, a moisturising agent which is released gradually as the day wears on - a little bit each time with every blink. That means better end of day comfort and less dry eye.